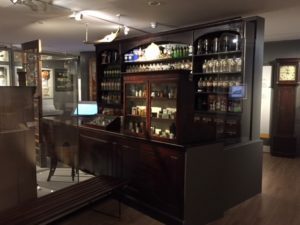 Part of the Perks & Llewellyn chemist shop is now on display at the new North Hertfordshire Museum in Brand Street, Hitchin. You’ll find the display in the Living in North Hertfordshire Gallery upstairs, though be warned, the lift is not currently working. Admission is free. The old shop is looking rather splendid! 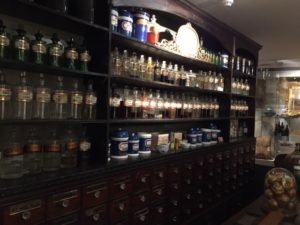 The remainder of the Perks & Llewellyn chemist shop is still on display in the atmospheric 17th century barn at Hitchin Lavender, 2 miles North of Hitchin in the village of Ickleford. 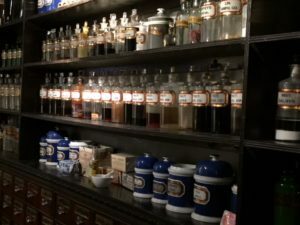 The farm will re-open to the public in May 2019.